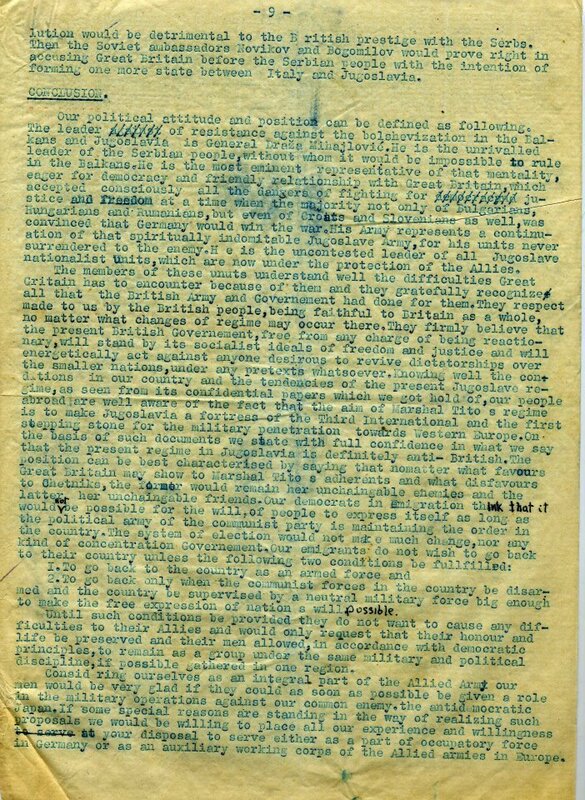 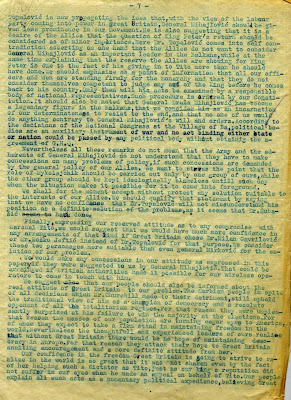 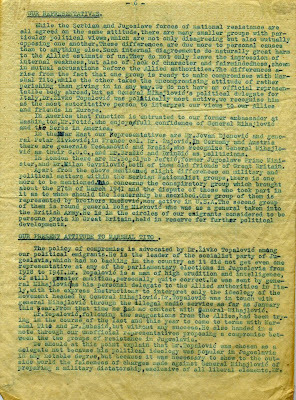 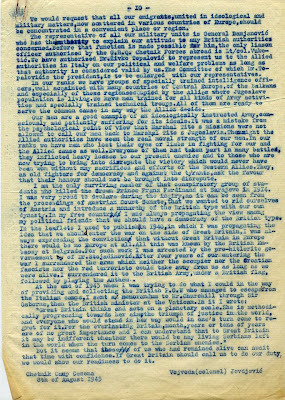 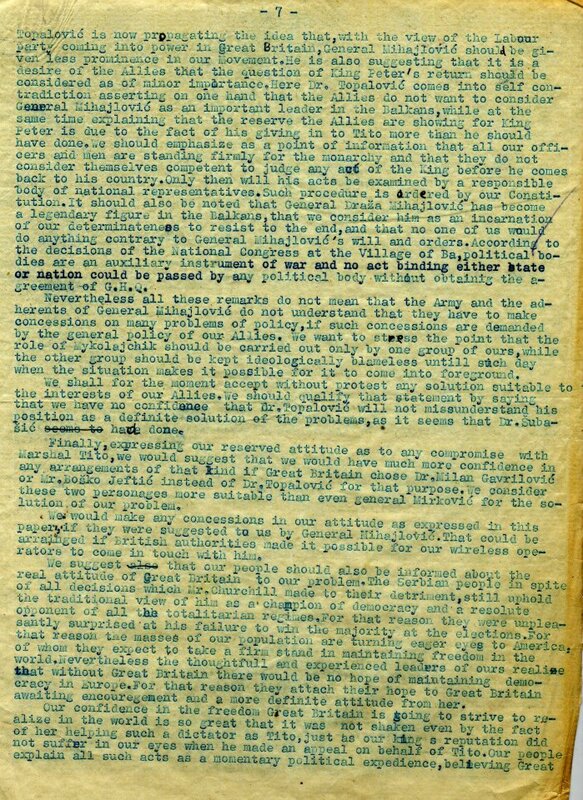 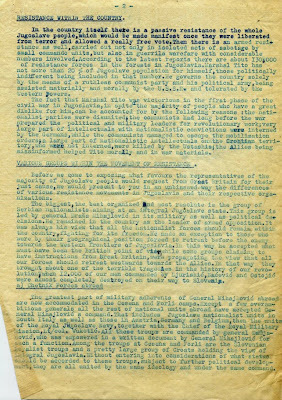 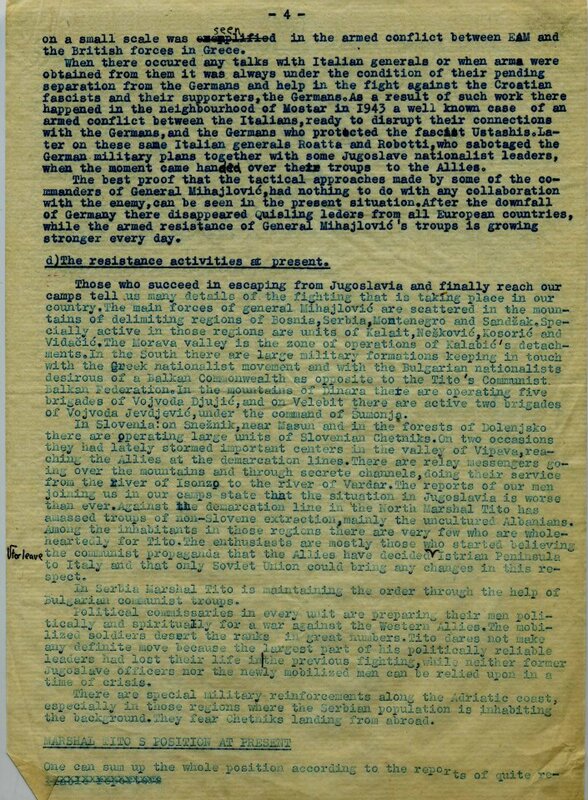 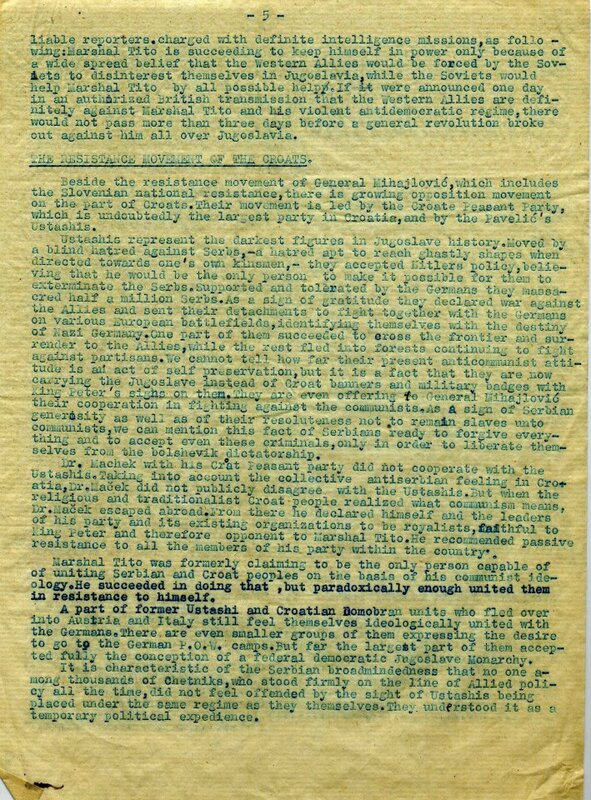 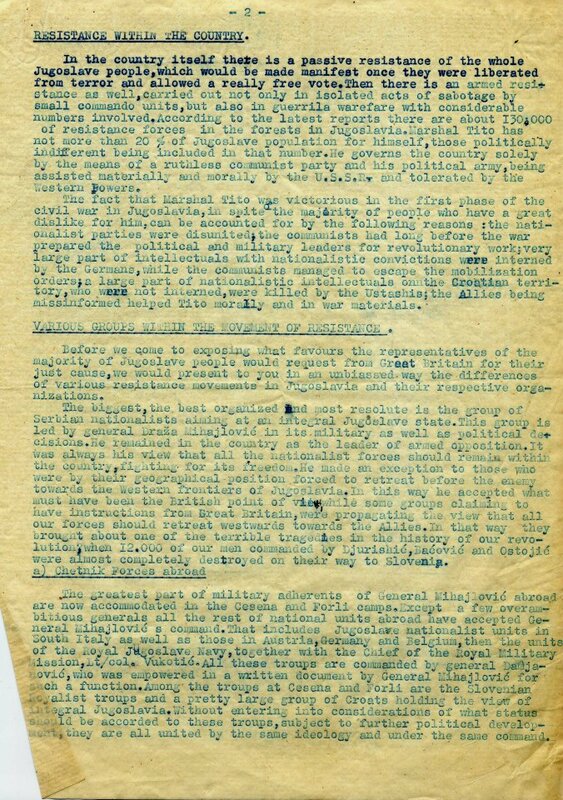 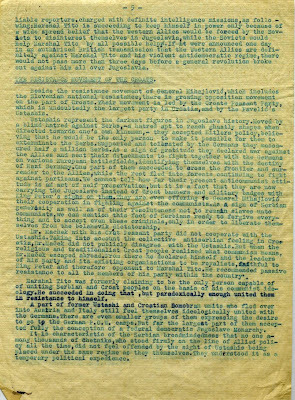 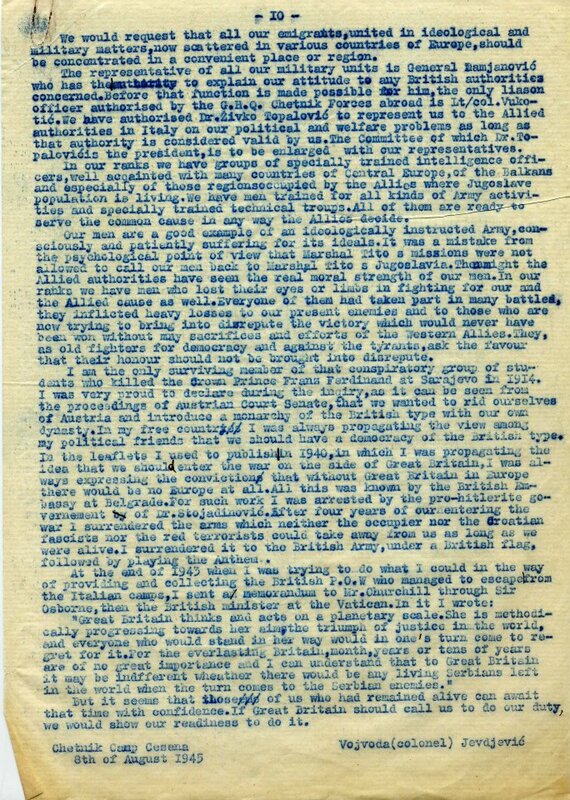 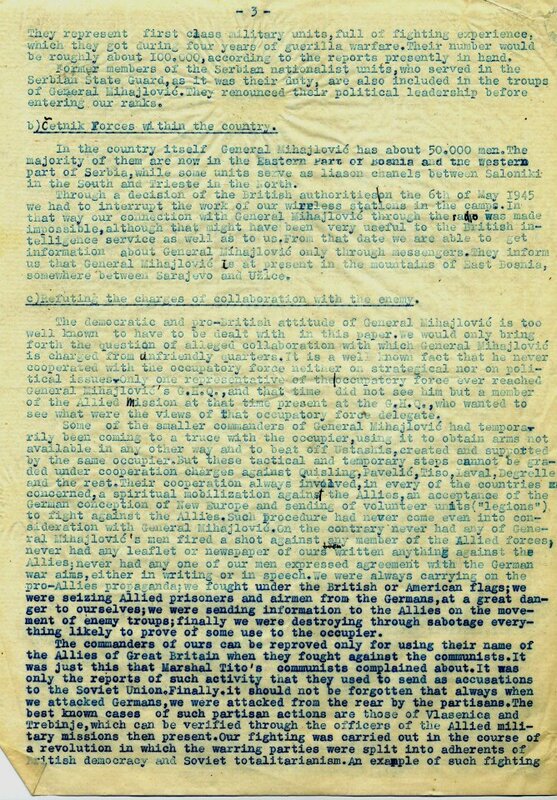 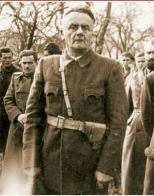 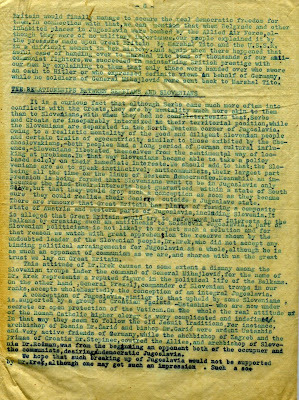 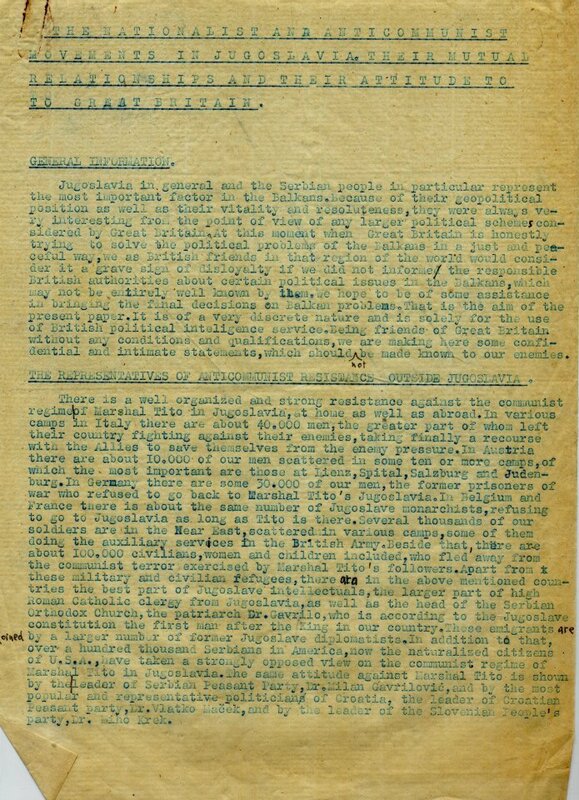 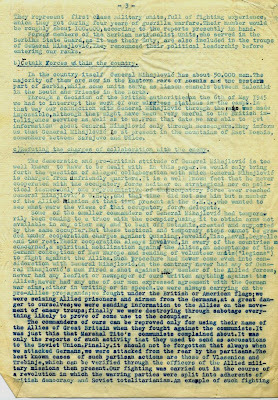 Aleksandra's Note: The following is a ten page document in the English language issued by Voyvoda (Colonel) Dobroslav Jevdjevic, a WWII Chetnik commander, from the Cesena Camp for displaced persons in northern Italy. 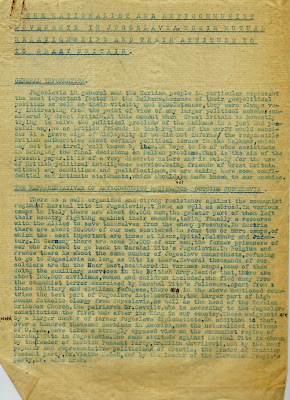 The document is titled "The Nationalist and Anti-Communist Movements in Yugoslavia - Their Mutual Relationships and their Attitude toward Great Britain." 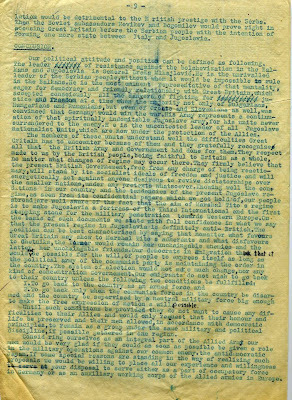 It is dated August 8, 1945. 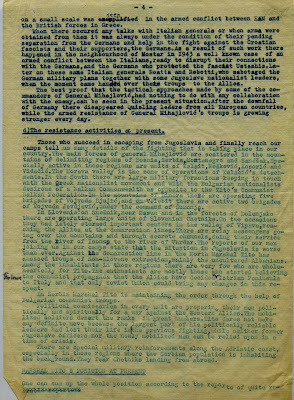 Special thanks go to Velimir Cvjeticanin for making this document available. 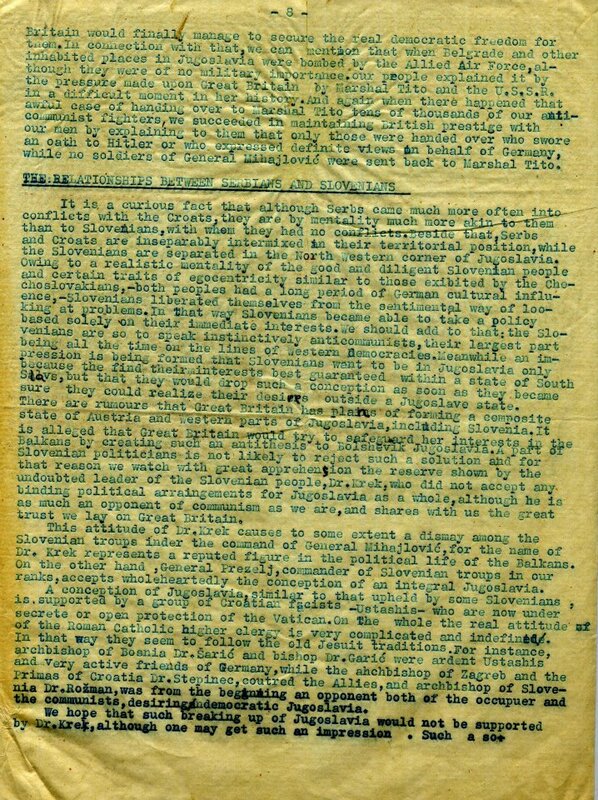 please click on each image.